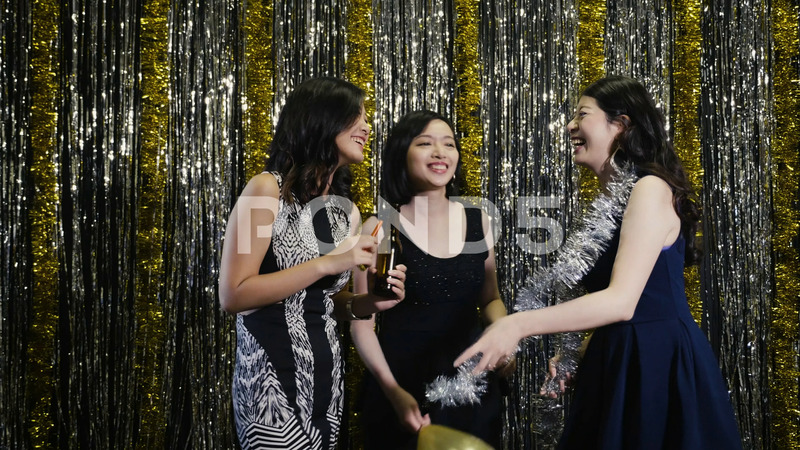 Description: slow motion asian women at nightclub dancing chatting cheerfully. beautiful girls partying female models at club night out with gold and silver metallic on background. Clubbing concept for nightlife.